I’m a sucker for a runny egg yolk. This is my typical breakfast, two slices of Udi’s gluten-free toast topped with local farm fresh sunny side up eggs, sprinkled with tumeric (more for the anti-inflammatory properties than for flavor.) But, for some, runny egg yolks are disgusting. Are you a fan of that rich, golden, runny yolk? Yum or yuk?? 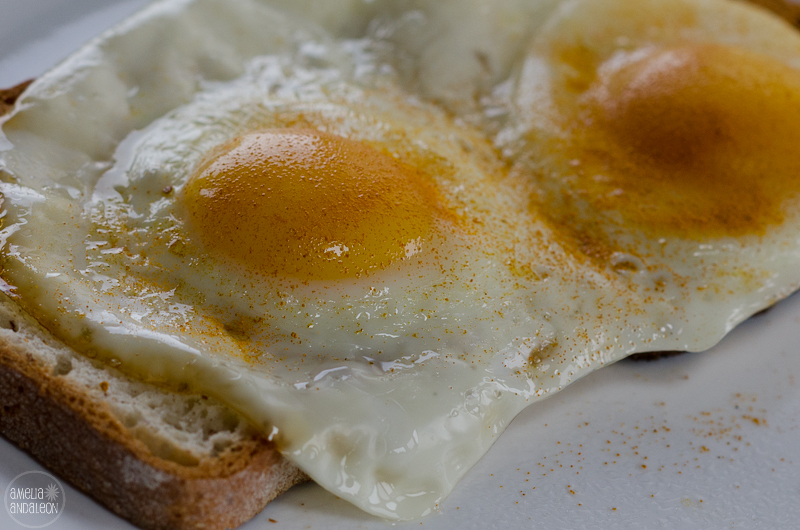 This entry was posted in 365 Project, breakfast, Food, food, gluten-free, health, Nikon D7000, Photography, vegetarian and tagged 365 project, egg yolks, food photography, nikon d7000, Photography, sunny side up eggs, udis gluten free toast, whats for breakfast. I love it , great post and I would say yay to the yolk and know i’m going to make what that picture looks like you got me hungry. Do lots of people do this?Have you sold a food photo? What is the Process Of selling a photo?I think I could be a very good photographer if I had the right knowledge I don’t know if you came across this page. take a look and let me know where I could go from here upgrading from a 12 megapixel digital camera to something better with the right knowledge. Phillip: I’m probably not the best person to ask because I’m more of a hobby photographer so I’m not in the business of selling photos. I’m more into selling services like photo shoots. the few photos I’ve sold have been in local coffee shops where my photos were featured for a month. you might want to try that? or look up how to get into selling stock photography. all I can tell you is that I think selling photos can be hard work. it’s not an easy business to get into, especially in terms of generating income. good luck!! I am a YUM, but prefer the Tabasco over the Tumeric.